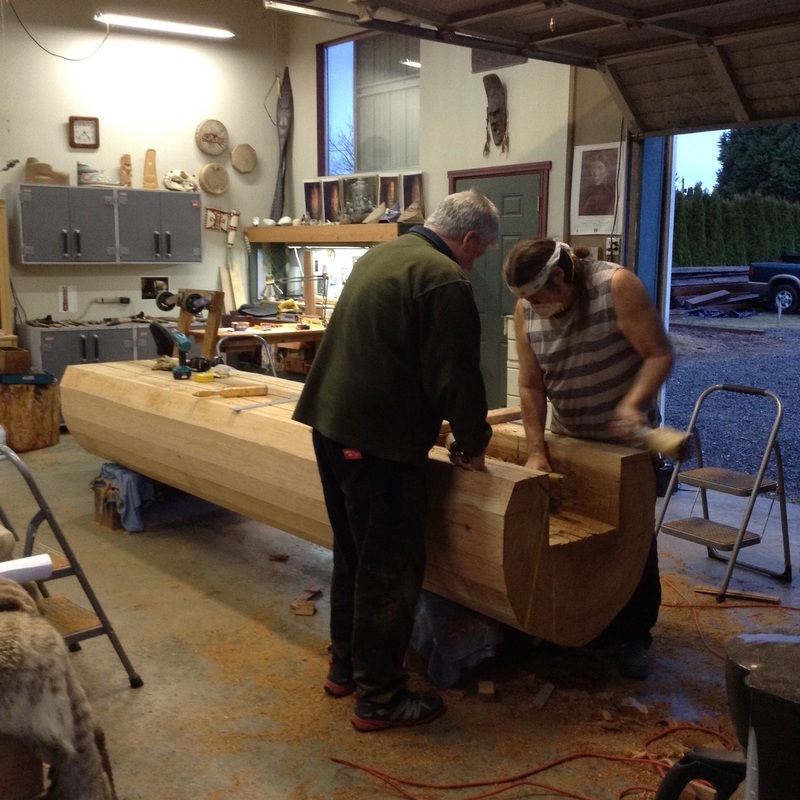 In January of 2016 Fred Saat-Kaa Fulmer, Jeff Sei ya eesh Skaflestad, and Scott Kadach'áak'u Jensen started work on the Goonz Pole project. 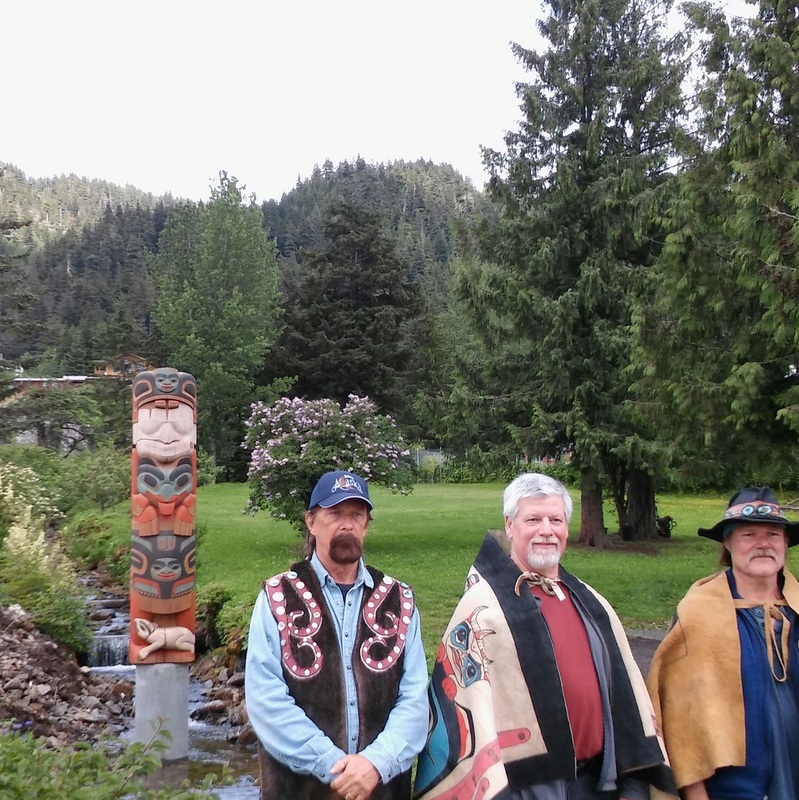 The pole was made as a gift from us to the Chookaneidì Clan and put up in Hoonah, Alaska where the original pole once stood. A number of years ago Fred asked me if I would be interested in working on a pole that his Auntie Lilly had asked him to carve. We were both busy at the time and nothing happened. A few years later Jeff was working at my studio and related the same story and request, asking if I would be interested in working with him on the pole. He had also been directed by Lilly to make this happen. Having been asked twice to work with them, I couldn't turn them down. Working closely with Jeff and Fred and using what information Lilly had given them over the years we came up with a design. I carved a scale model using their input and they got the ok on the design from the Chookaneidì Clan leader to go ahead with the project. 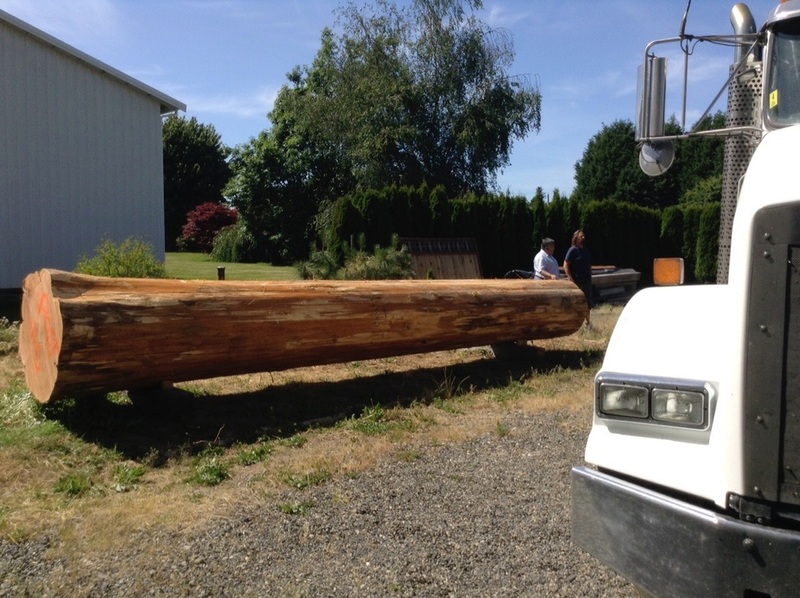 We found a suitable red cedar log for the project. We needed 11' for the Goonz pole. This log was 22' long. It was hard to cut such a perfect log in half. We first shaped the front of the log and then cut out the back to reduce checking. As we carved, we used the scale model you see laying on the pole as a guide. Most of the painting is done with just a little more detail to be added. 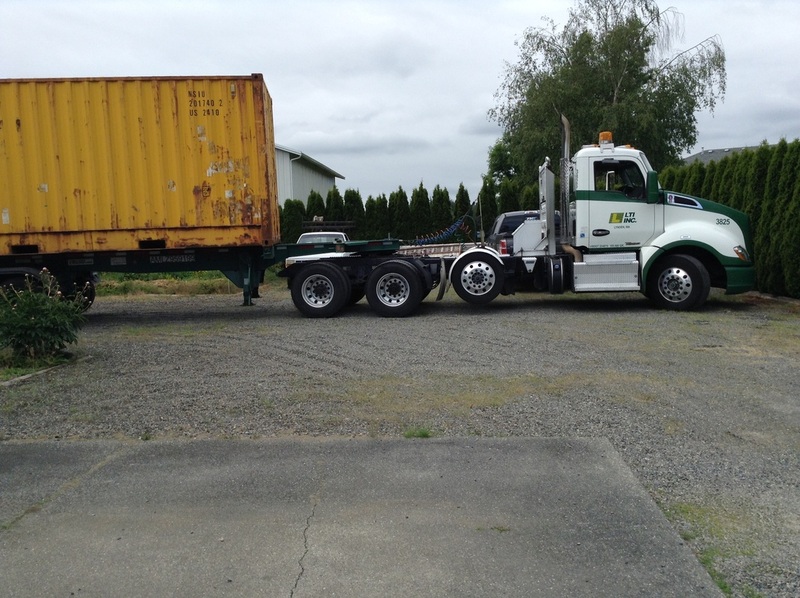 Once we got the pole crated, Lynden Inc. transported the pole, at no charge, from my studio to the dock in Hoonah, Alaska. 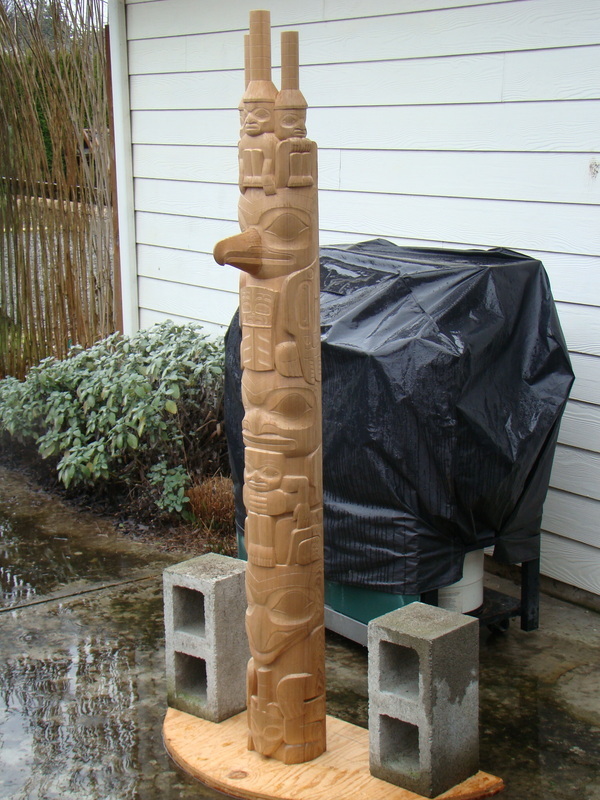 On June 6th 2016 the pole was put up in the creek where the original had stood generations before. That creek still bears the name, Goonz Heeni (Goonz Creek). 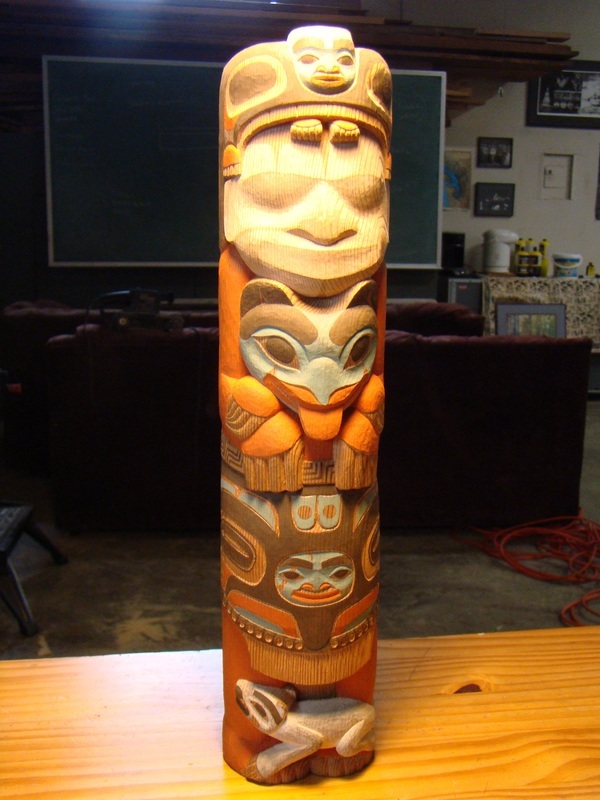 ​The original Goonz pole stood in Glacier Bay approximately three hundred years ago. When the glaciers drove the Tlingit people out of the bay, the pole was left behind. 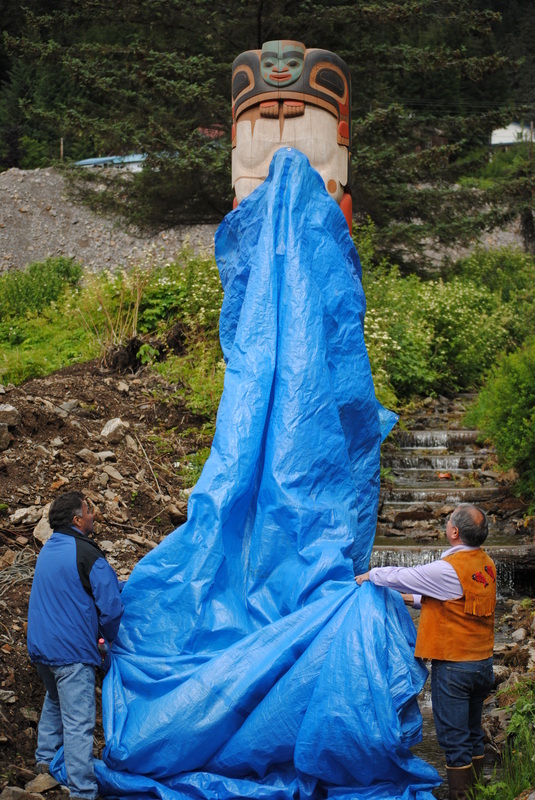 After the Tlingit people had established the village at the present site of Hoonah, the Goonz came to the creek and was heard calling out to the shaman. ​ The pole is the Goonz. At his feet is the white mink that was his helper. The Goonz is wearing an apron with an octopus design on it and a belt with the shaman's hat pattern. On his chest is the Brown Bear, a Chookaneidì clan crest. The face of the Goonz lacks detail because it could take on different identities as needed. 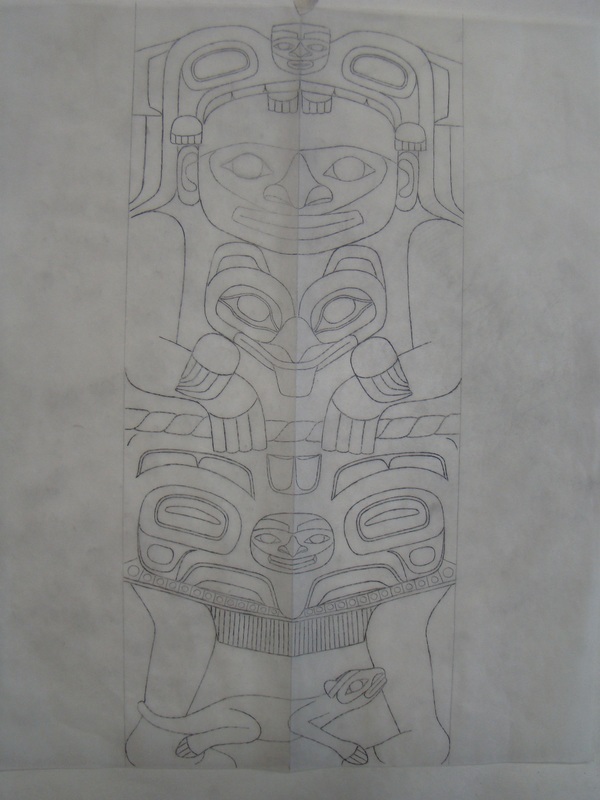 On the top is a representation of the mouth of Glacier Bay with a human that represents the Tlingit peoples' unbreakable ties to the bay. It was an honor and a pleasure to work with Fred and Jeff to complete this project. 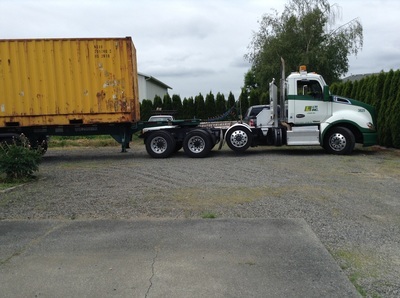 We were dedicated to fulfill the wish of Lilly and many other people to get this work done. 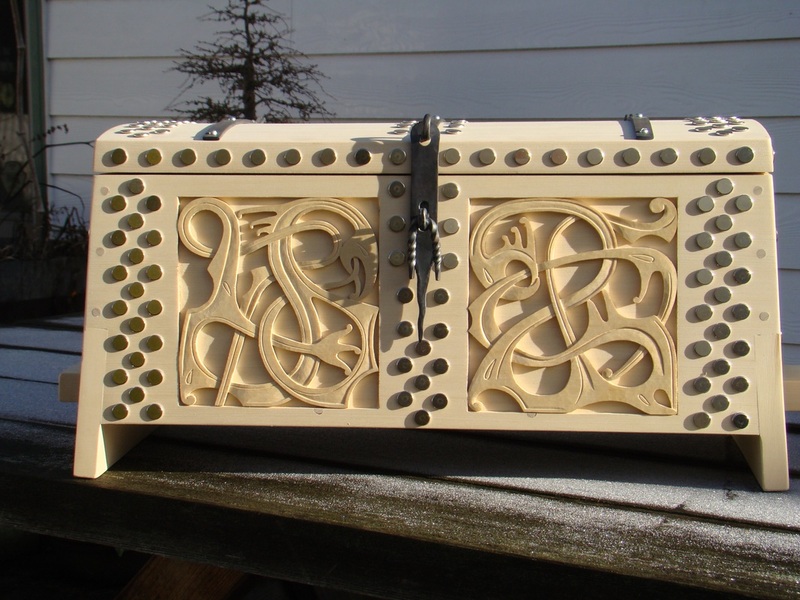 ​While researching my Danish heritage, I found beautifully designed Viking Age tool boxes/sea chests. I have been keeping my tools in a variety of canvas tool bags and thought it would be nice to have a decent tool box. 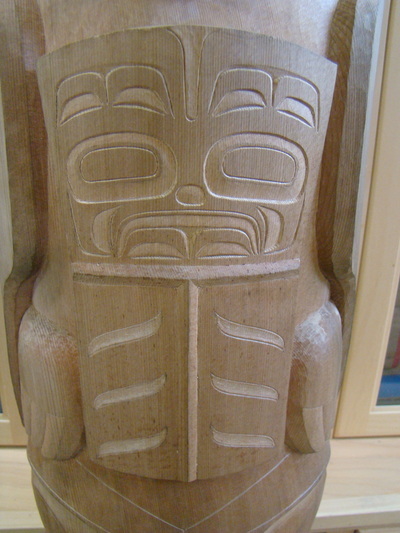 I had always planned to make a Northwest Coast style bentwood chest for my tools but after forty years I still haven't made one for myself. These Viking Age boxes seemed like an interesting project. Made of yellow cedar, the first box measures 24" L x 11 1/4" D x 15" H. It has hook and ring hinges and a hasp closure forged from mild steel. It is decorated with 342 tacks. The second chest is smaller, 19 1/2"L x 8 1/2" D x 10" H. The carving on this chest was inspired by designs on a brooch from Kaasta, Sweden. All the images carved on the two chests represent dragons. 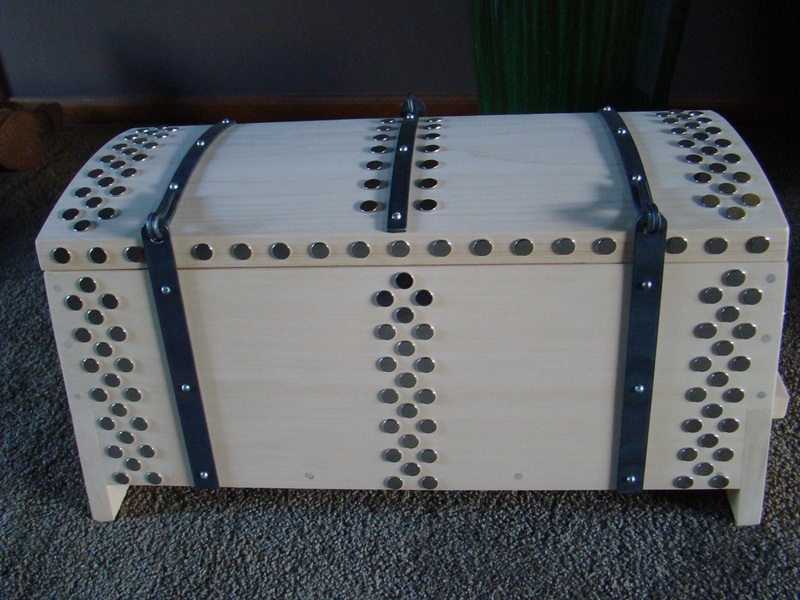 The original chests were made of oak or pine and tinned nails were used instead of tacks. They also made elaborate keyed locks as well as padlocks. 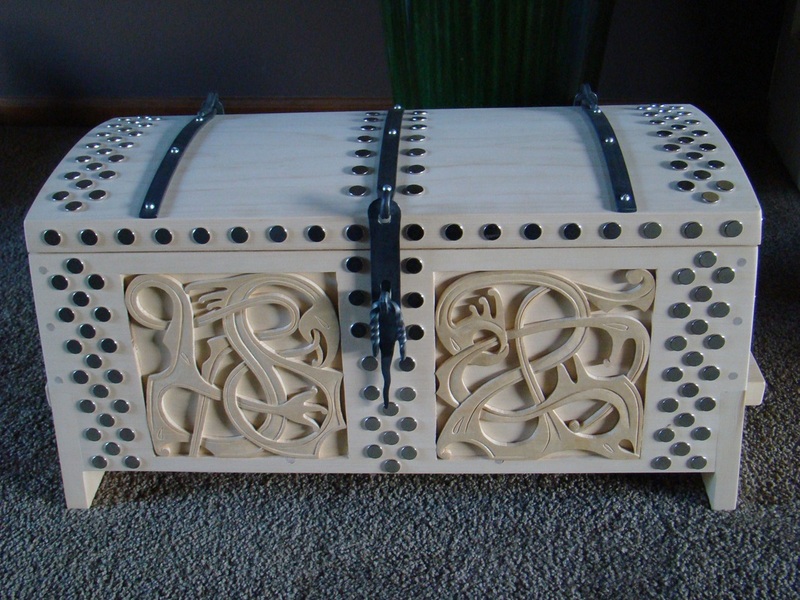 The chests I made were inspired by two Viking Age chests, one found in Mästermyr on the island of Gotland, Sweden. The other was part of the Oseberg Ship find from Norway. These are in progress images of one of a series of small masks Courtney and I collaborated on. You can see the entire series on the "Gallery" page of this site. 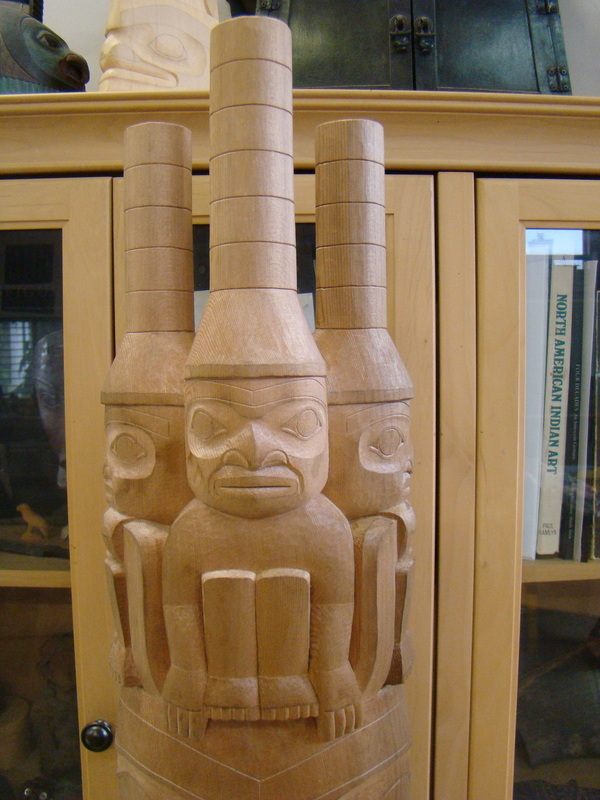 I carved the moon faces in yellow cedar. Each one is carved the same, or as close as possible. The masks are 7 1/2 " high and 2" thick. 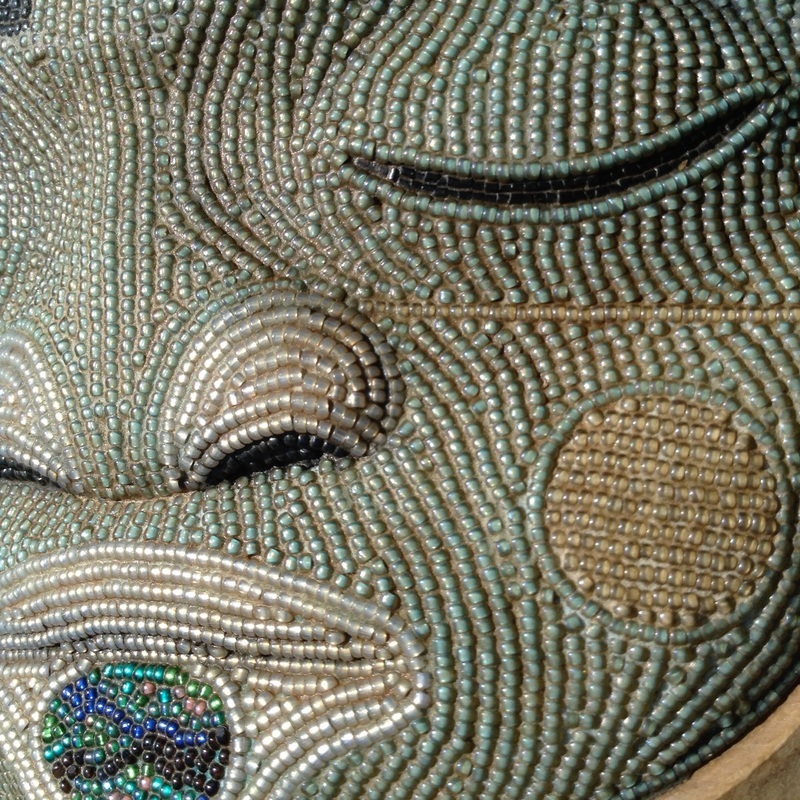 ​Courtney added her micro-mosaic in tiny beads to the surface of the face. Then the whole beaded surface is grouted to complete the inlay. 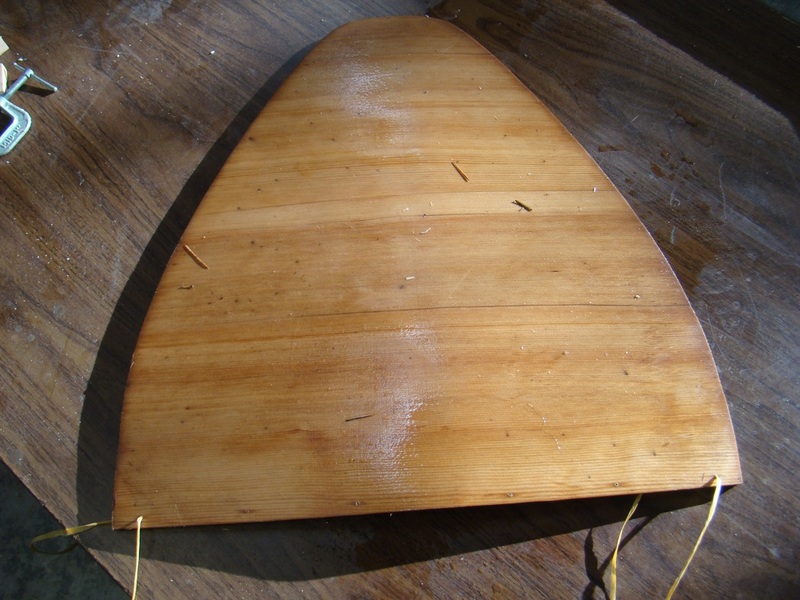 I have been working on a new pattern for a bentwood hat on and off for the last few months. All the previous hats I've made were from the same pattern I got from Bill Holm in a class he did a number of years ago. There is an image of an old hat in Tribal Art Magazine; I liked the shape of it and used it as inspiration for this new hat. 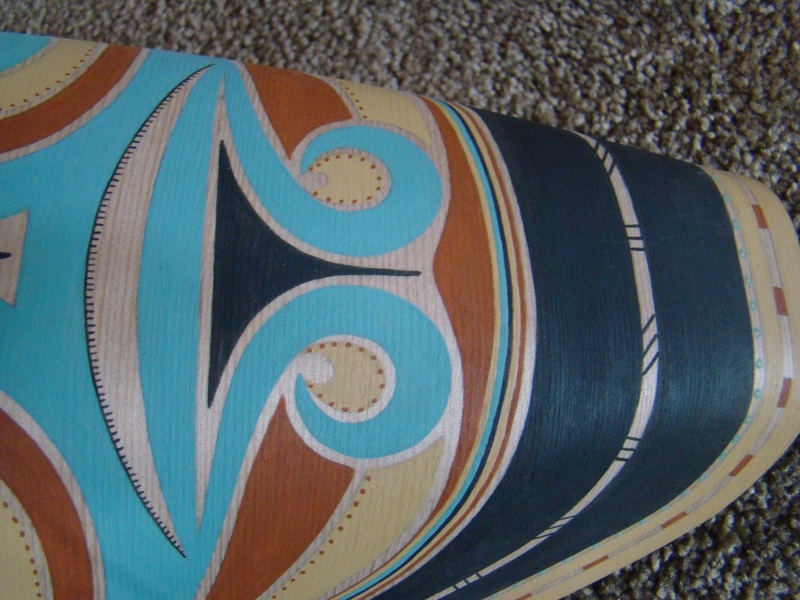 This is a photo of the inside of the hat. 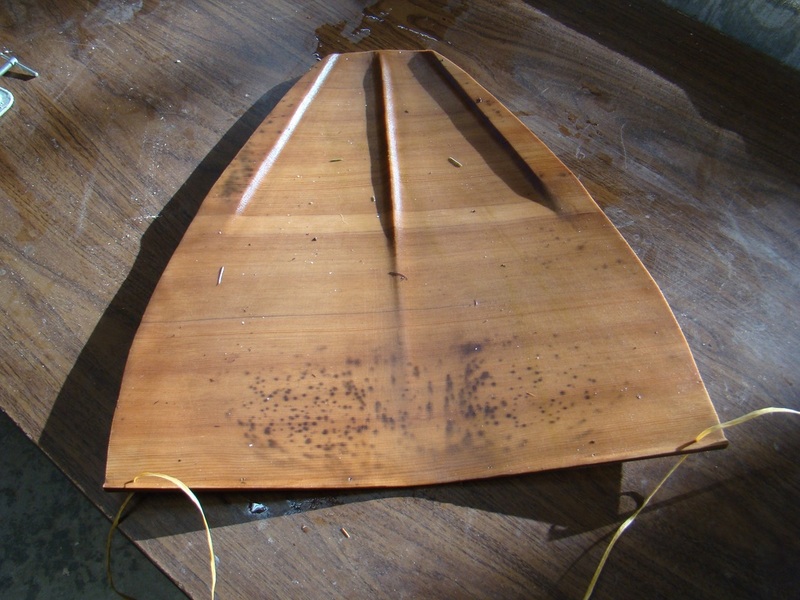 The wood was shaped and then soaked for three or four days in our pond. 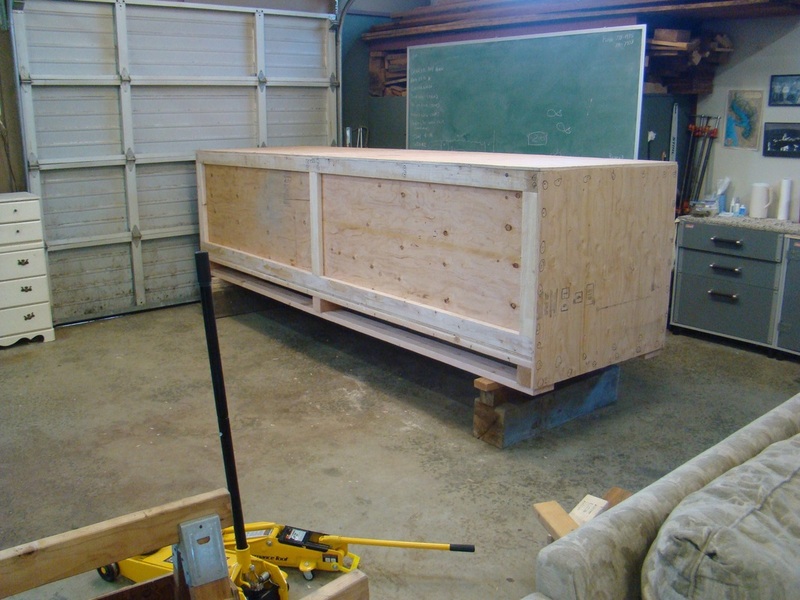 It is now ready to steam and bend into shape. The outside is left smooth. The hat came out pretty close to the shape of the old one I was trying to match. 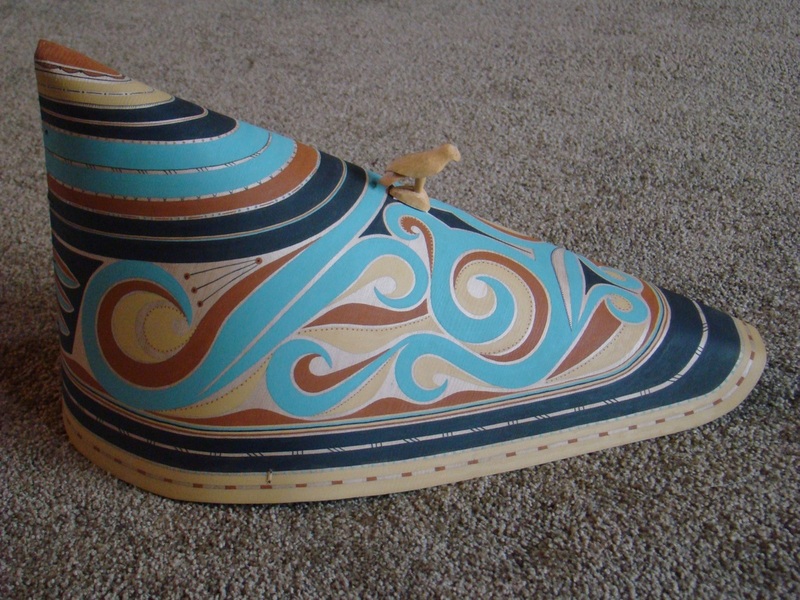 After much consideration I chose a traditional color scheme using colors that would have been available prior to European contact. The red would have been iron oxide, then yellow ochre, and celadonite for the blue. Black was made from charcoal as well as several different minerals. 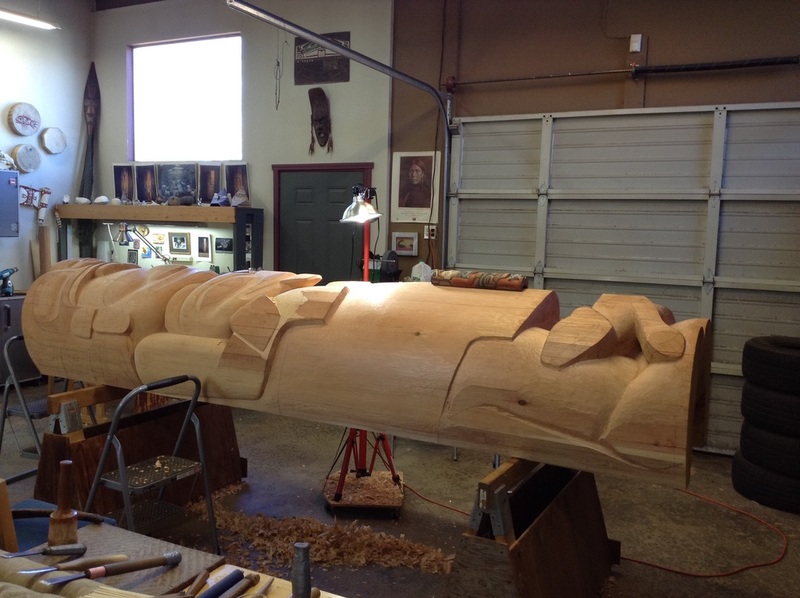 I am working on the bird carving that will be attached to the hat. It represents a gyrfalcon, a bird common around the Aleutian Islands and a successful hunter of small prey. Below are two photos of the kind of detail that was added to many of the old hats. There is a lot more work to do to complete this hat: a little more painting, finishing the bird figure, making the whisker holders and making the simulated sealion whiskers. I think I will give this hat an antique finish to give it the look of many years of use. For more information about these hats, check out this article. 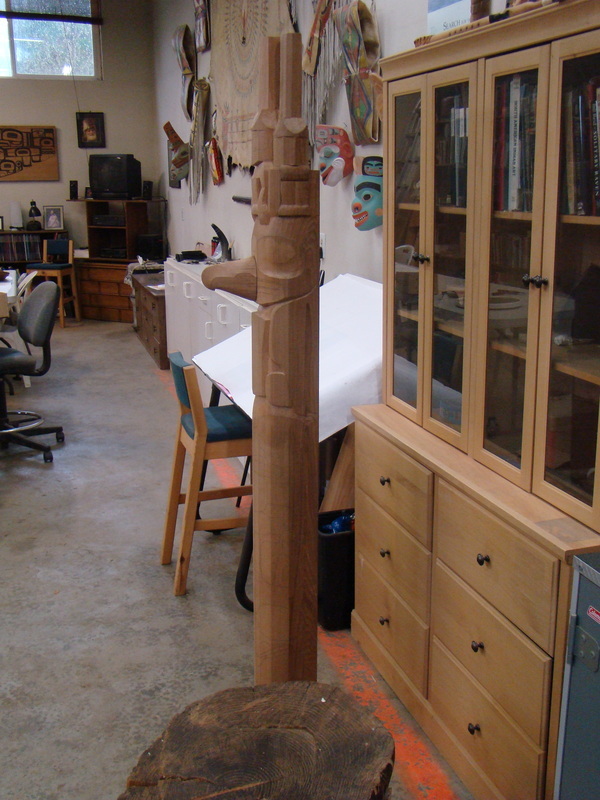 This is a Haida style 6' red cedar totem pole I just finished. From the top the figures are the watchmen, eagle with a copper, bear in human form holding a human and a bear with a cub at the bottom. 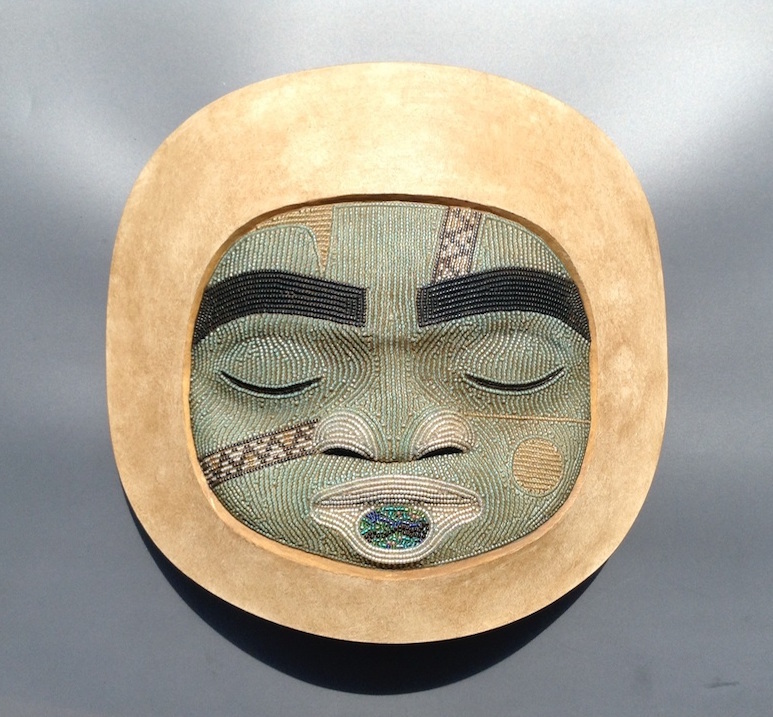 Over the last year I have created a body of work that will be shown at the Stonington Gallery in Seattle, WA during the month of November 2014. There is an online catalog of the show as well as a print catalog. The print version will be available a few days after the show opens. Painted yellow cedar bark hat with a frog ornament. 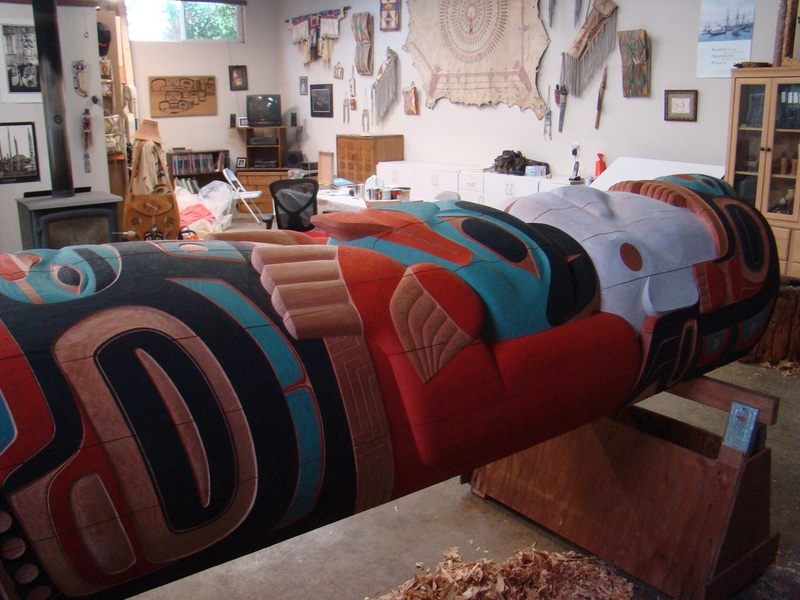 The painted design represents Raven in transformation. The frog is a raven crest. I had been looking for a hat to paint for a long time. 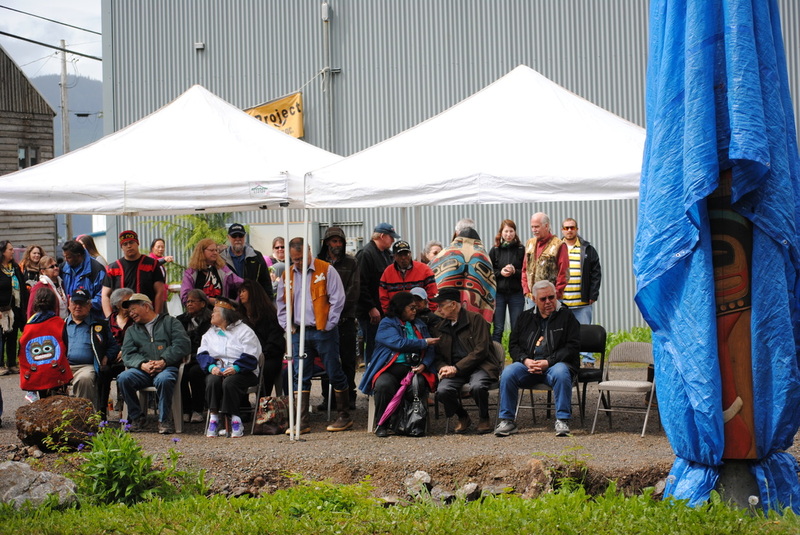 I contacted Marlene Liddle from Masset, Haida Gwaii, B.C. She makes beautiful woven yellow cedar bark hats of all kinds. She made me this hat with the snail tracks pattern woven in. 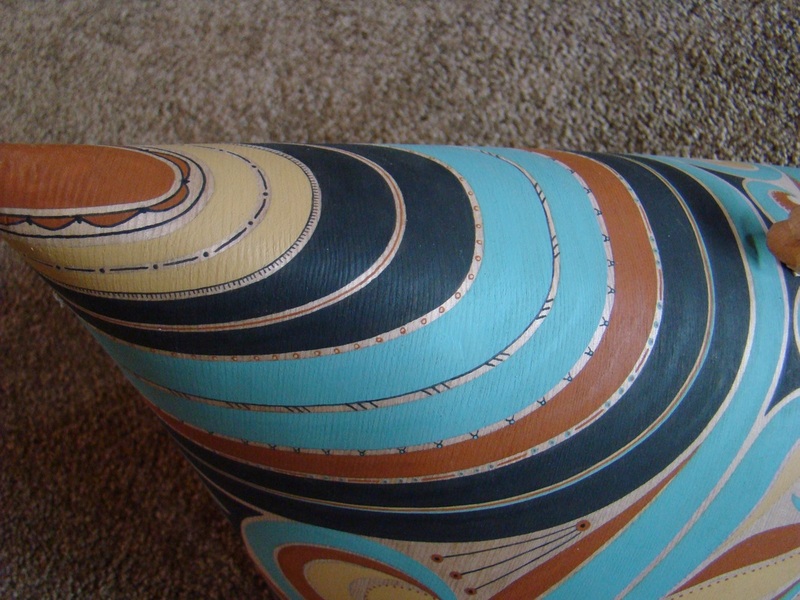 It's quite a challenge to get the design on the compound curved surface of a hat. Even though the hat is tightly woven, it's tricky to paint the lines straight. The helmet is finally finished. It took a long time to completely dry and for all the small cracks to close. At that point I added asymmetrical facial painting and designed the formline for the back. I decided to use human hair on the helmet because it lays much closer to the face. On this piece horse hair would be too stiff and out of place. The design on the back of the helmet is Brown Bear Spirit. You can see three large black pointed claws along the bottom edge of the helmet. Just above them is a row of teeth and a large eye. At the back edge are two ovoids that represent the bear's nostrils. The human like face in the middle is a spirit face and is topped by the bear's ears.